​We partner with Long Beach Nature Tours to provide spectacular remote access guided hiking adventures! Go beyond the beaches of Pacific Rim National Park Reserve and into the mountains to some of the Island's most breathtaking alpine regions. 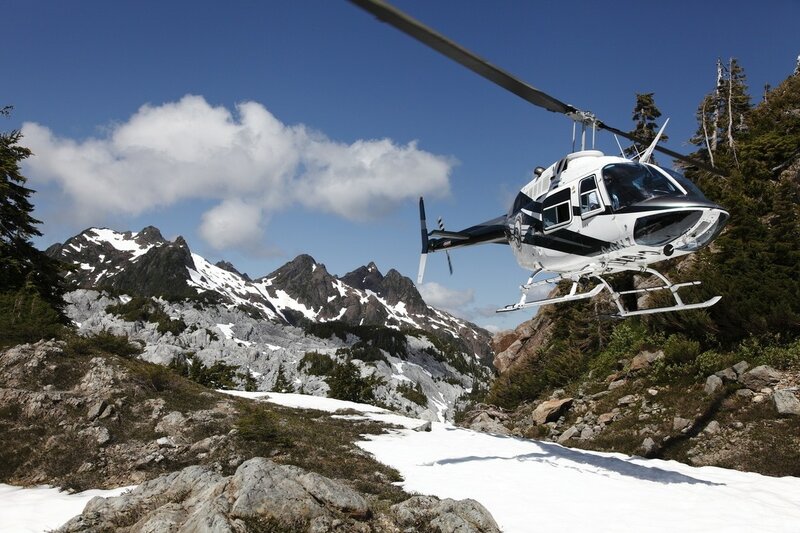 These helicopter assisted hiking excursions will bring you to places where few have walked before. This part of Vancouver Island's Interior Range includes some of the most wild and unexplored mountains in British Columbia. ​Spend the day with an experienced guide exploring the true wilderness high in the mountains surrounding the coastal town of Tofino. This unforgettable journey will leave you with an understanding of the complex and diverse ecosystems that Vancouver Island has to share and give you a bird's eye perspective of just how wild and remote this area really is. This experience is for the adventure seeker wanting to explore the vast reaches of the west coast, and go beyond where most traveler and even locals venture. Hike along the remote coastline of Flores Island, in the far corners of the world renowned Clayoquot Sound UNESCO Biosphere Reserve, soaking in the endless scenery and untouched beaches. These helicopter assisted hiking treks allow us to touch down in landscapes that are virtually unexplored. Nature is in full force in the rugged environment, allowing local wildlife to flourish in these remote regions of the outer coast. Discover and Explore these wild places with experience guides.